Lenovo is one of the world's largest electronics companies. With revenues of $46 billion they are a global technology company with 55,000 employees and customers in more than 100 countries worldwide. They are ranked 231 on the Fortune 500 list. Though they are a large company, customer service complaints are reported on our website often. Common issues with Lenovo include their support hotline, where customers call with problems related to Laptops and Tablets mostly. Other issues include hardware defects and software bugs. Their corporate headquarters are located at 1009 Think Place, Morrisville, NC 27560. 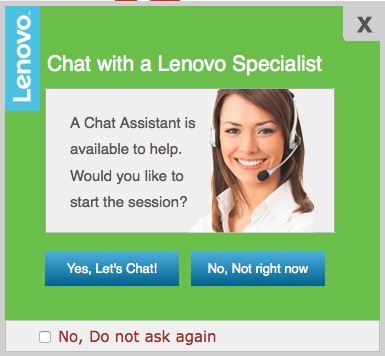 You can also phone Lenovo support at 1-855-253-6686, select option 2 for customer service. Call between the hours of Monday-Friday 9am-9pm (EST). This computer system is merely trash. I hate, hate, hate this computer and I fail to understand why it is on the market to begin. This system has built in spy-ware and, in FACT THERE is a class action connected to this product. I would NEVER recommend this product to anyone, not even my worst enemy. I purchased Lenovo's laptop last year in August. Since then I have been facing problem with MS excel. I tried calling customer care and waited for an hour but no one responded. I am very unsatisfied and what is the point of warranty if I cannot get it fixed, in this particular time period. I had ordered a Lenovo laptop on 8th of October. The delivery date was between 13 to 17, but i received a mail saying your order was cancelled on 18th of the same month. I want to know why this happened and you guys have kept my money for 15 days at least with you. Who is going to pay for that? The office purchased a Lenovo computer in May 2016, in September 2016 it crashed, just 4 months old!. I was told that a tech would be out in 3 to 4 business days to repair the computer, I called every day and was told that "yes it would be repaired" on the day the "tech" was suppose to show up I called and was told that they were "waiting for parts" This was the first time this was mentioned. Since this is a business and we can not wait for months for parts that may not be good (a history of Lenovo) we demanded a full refund. I was told by Michael Summery (SP) that we would get a refund, that a shipping label would be emailed and that a box was being sent. We have not received either. I have left 5 voice mail message and sent 5 emails, I have not received a response at all. We are now looking in to taking legal action since this computer is under full warranty and was only 4 months old when, according to Lenovo the mother board crashed. I purchased a Lenovo desktop computer about 5 months ago. It was sent back for an issue and returned to me and supposed to be fixed. Less than week later the same problem is back. Lenovo said that they would have a box shipped to me with in 3 days. Today is the third day and the box might be shipped at the end of the day. I cannot speak to anyone in the USA about my issues all I get is the person in the Philippines who says we are sorry for this inconvenience! They won't give you a phone number for the US at all! any new computers I purchase will NOT be Lenovo. i ordered white Lenovo vibe k4 note from Snapdeal. When I received that and I open the box it was black and repaired mobile. 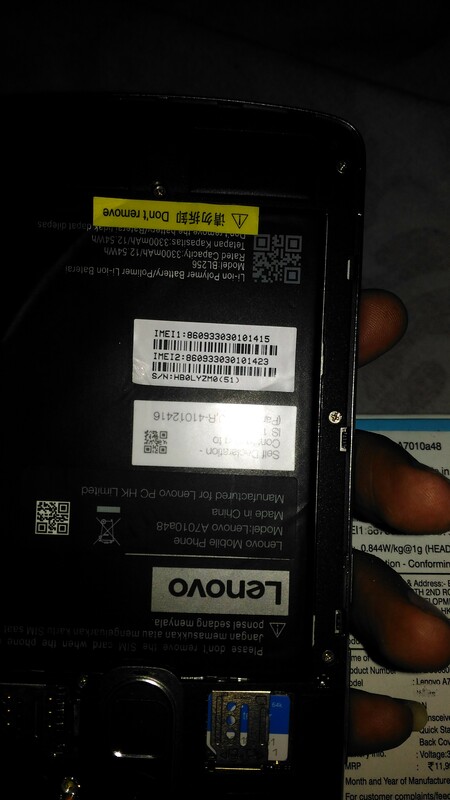 The seal of mobile was broken and the main thing is the IMEI number of the phone did not match to the box and to the slip pasted on the battery. It is a big fraud case. I am scared and i did complain but they said that first we get the mobile back to us then we give you the new phone or refund your price. I am now thinking of taking this issue to Lenovo corporate, so they know how this company is selling their product. How can i believe them now? Purchased two Lenovo keyboards at the advise of a sales associate, based on two needs, back lite and if they were had RF, both needs were covered based on associate. I questioned the associate if I can return them if this is not what my computer Tech. indicates will work. I was advised by the associate yes and I inquired what the return policy was he stated as long as they were not opened or used, I could return them in 30 days. It was determined that they were not able to be used for my application, I returned them on the 17th day of purchase. they refused to credit our company credit card and issued a gift card instead. I went to this company only because I assumed I could value there expertise in electronics. I will never have a reason to use this gift card for future purchases, we do not use electronics for long periods of time. I'm not a person to complain, until I was lied to or misinformed. My point is Best Buy associate misinformed not one time but two times causing me to trust his knowledge and make the purchase. The Corp. office refused to credit the amount to our credit card. My company, and myself will no longer use this business, for any future electronics purchase. I had purchased a Lenovo Vibe X2-AP (Gold) Worth rs 10049 mobile from Snapdeal on 6th April 2016. I got a defective item from snapdeal. I marked a mail to the Snapdeal Customer Care Team on 8th of April 2016. Everyday I am remembering to contact them by call or mail. For the last 15 days they are saying your request is pending. Today is 22 April they guys are saying you should visit to our Service Center and can repaired your mobile. Please you tell me If i marked a refund mail on the second day of the delivery of the product. Why should I go to their service center. If I have much time for it then why? I purchased this gadget through online. Lenovo is hurting me. They guys are not caring about their 7 day easy return policy. They are completely greedy. Please help me to refund my money and resolve this issue so that they can never serve me from his pathetic service. Got the blue screen, called the Lenovo support number I do t know how they where trying to help me and I wasn't sure if it was safe to talk with them. Once it got into a sales pitch, I hung up. The remotely took control and wow, not sure if that was safe. I clearly don't know who they where. Bought a new Lenovo computer $850 from Costco on line. Received it yesterday. Followed instructions and connected everything. Turns on and lights on machine and on mouse and keyboard light, but nothing on screen. I have a new flat screen monitor and it works fine on old computer but it says there is no signal on the new Lenovo. computer. Also, after it starts, it sounds like the hard drive just turns off. I have tried two working monitors but both show no signal detected. Anyway, I contacted Lenovo customer service and they said it would be 139 minutes until I would receive a call. That was several hours ago. What do I do? I suspect it has a bad switch going from hard drive to VGA plug in back thus not turning on the screen. Since there are no instructions with the machine, and absent a call from Lenovo, I guess I am ready to return it to you. Where do I return it? 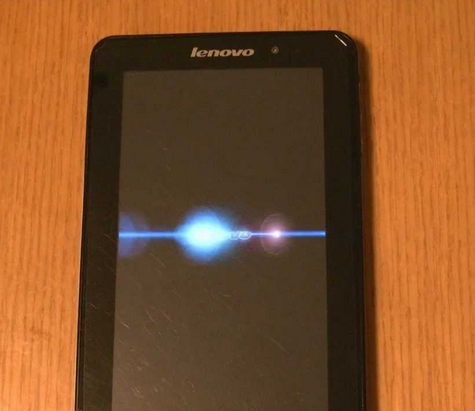 My Lenovo mobile power keeps going off. I have complained to the care staff but they do not seem to care or want to help their customers. I buy electronics often, and I can promise you this review will be shared online and to everyone I can. Very poor quality product. The windows start button will not work on my Lenovo laptop. This is my only complaint, otherwise it's a great cheap piece of crap. What's the customer service phone number? Here are my complaints I wish to forward to Lenovo corporate offices. First, they do not honour their warranty. Second, they do not provide a detailed USER MANUALS (DETAILED). Third, they do not maintain a proper office location. It is impossible to contact them with customer service problems, which is why I am forced to submit my feedback online. I bought my Lenovo laptop to get it fixed at Best Buy's Geek Squad (8923 Bay Parkway, Brooklyn, NY 11214). My laptop could not boot the night before I downloaded Windows 10. The Geek Squad guy (Andre) said they are going to set it back to Factory Setting. He searched the Best Buy computer trying to find my laptop type/brand. He choose a laptop that loose like mine, but it was 1TB. I told him my laptop was 2TB. He said don't worry, we will install a generic one. Whatever geek squad word that is, I don't understand and I said "OK", because I told him my laptop was 2TB. I am not sure if Geek Squad is required to ask you if you want to Back Up Data first. But he did not asked me. So I asked him " is my data all gone?" if they reset it to Factory Setting. He said yes. He gave me a Client Copy of the service. 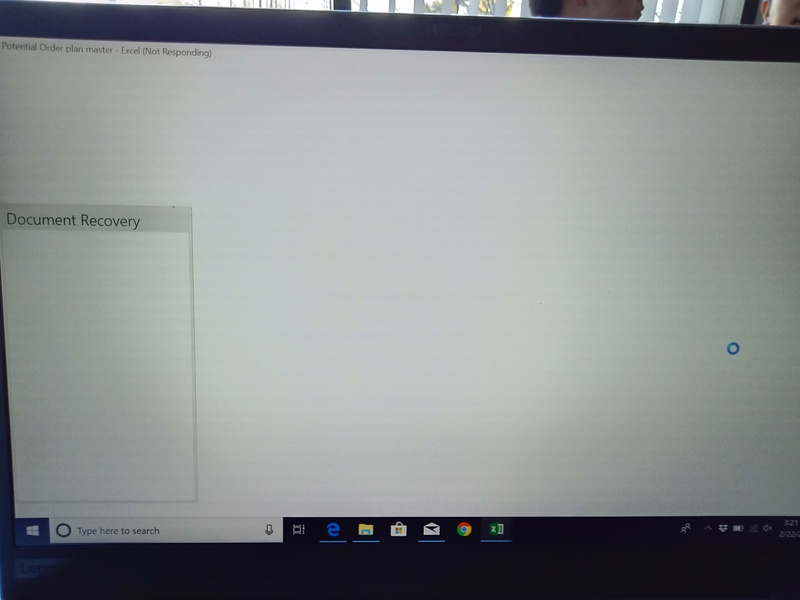 In the "Service Information" area of Agent Recommendations, it said "diag and restore to factory and upgrade to Windows 10. Client declines DBU. eta 3-5 days. FP". I don't know what DBU is, but it looks like Data Back UP meaning. If it is, I never declined it. I have bought a 2 year Geek Squad Protection plan in 2014, so it will be done with no expense from me. [ I guest they don't want too much work, with their high paid salaries]. I know IT people get paid a lot. 12/11/2015 Friday, I came to pick up my laptop after work from this Geek Squad lady(I did not asked her name). I checked to see the space in my hard drive. There was only 1TB of space on my hard drive and asked her why...She said they did not change anything and whatever the laptop has, it is there. I have bought my 2TB Lenovo laptop in June or July 2013 on sale, and opening it everyday, I know how many TB there is on my laptop. I kept telling her that my laptop is 2TB, but she kept saying the same thing to me that they did not change anything. [If you format a Hard Drive (Internal or External), you get back the GBs or TBs in your hard drive]. It really did not make ANY sense to me they did not change anything. I sign the damn service perform by GeekSquad and went home to try to find my receipt for the laptop I bought. But the receipt did not show it was 2TB. It only showed the Brand number and some numbers following it. I was really pissed, so I tried to called Best Buy to see if they have a record in their store to see if they have a record of my purchase on my Lenovo Laptop and how many TBs was in it. They don't understand forward to Geek Squad for me. This lady told me to bring my laptop in to check. I went back to Geek Squad. This guy came to check my laptop and he came back with some printed papers from amazon.com on my Brand/Type of laptop. He said this kind of laptop only has 1TB. They may have 1TB laptop of my brand now, but mine was a 2TB. I told him, when I bought it, it was a 2TB laptop. I did not bought a 1TB laptop and update it to a 2TB laptop when I bought it. It was already a 2TB when I first bought it. He said he can open it up and show it to me the hard drive that it is a 1TB. I asked him can Best Buy check to see if they have my record of ordering this laptop, because I pay for it with my credit card at the same Best Buy store. He repeat that this laptop is a 1TB laptop...[At that time I felt like they took out my 2TB hard drive and changed it to a 1TB]. I am no computer or laptop expert, but I know things inside of them and how they function. It is like bringing in a broken down car with expensive engines and parts to a car mechanic and they fixed it, but replace it with some cheap replica. I also contacted Lenovo customer service to see if they can check my laptop was originally a 2TB by giving them my serial number or any info on my laptop. But this guy said he is unaware of any 2TB from Lenovo. I been using my laptop and checking hard drive space on a daily basis for 2 years. I know how much space I still got. Maybe I bought my laptop in 2013. Maybe they stopped making 2TB, because I see only 1TB laptops at Best Buy. But I am definitely sure my was a 2TB. Had to do a system restore and lost some drivers - cannot connect to internet. Their support website has the driver files but they make you download LSB (Lenovo support bridge). I did this using a non-Lenovo computer so I could put on a CD and copy to the Lenovo. LSB recognizes it's not installed on a Lenovo and refuses to allow download. Contacted support, tried live chat, and the only way they will help is if I purchase a $200 service subscription. What a rip-off! Will never buy another Lenovo product. I purchased the Yoga 2 Pro in December of 2013. My Computer now is a paperweight. It will not turn on. It will not reset and it will not let me get to the BIOS. When I called Lenovo, they let me know my computer was out of warranty and it would cost a nominal fee of $99 to diagnose the problem after I sent the compter to a repair center. After they diagnose the problem a larger fee would be required. Doing some research it is plain to see that the Yoga 2 has had this problem for many other people yet Lenovo refuses to ackonwlede a bad product and stand behind. Horrible customer service. If you want to buy premium range of computers,laptops,ultrabooks,smartphones,servers then go for Lenovo brand. My friend started a online business company and looked around for the best hardware. He opted Lenovo desktops,servers and few laptops for the staff and the stuff was really awesome. He got the best processor with outmost specifications, one year warranty, 1year accidental damage protection insurance, branded backpack and free Microsoft office subscription for first year. It's an awesome offer and excellent opportunity for any IT professional. I suggest you to go for Lenovo if you want to have excellent performance for a long duration.